I tried to pick between these two matches as they both contain the one thing that I love in wrestling — storylines. Both of these were pivotal points in storylines. Doug Williams is a British legend, slowly winding down his career. The year for Doug began with the fact he was on a bit of a losing streak — he wasn’t winning matches and questioning if he could still do it. This resulted in vignettes involving Glen Joseph — one of the PROGRESS owners — trying to get into Doug’s head, with a pep talk and entry into Super Strong Style 16 — PROGRESS’ round robin tournament. I genuinely had Doug Williams as a favourite. Doug ended up picking up the victory, and the crowd went wild. It was one of the loudest pops I’ve ever witnessed, and Victoria Warehouse was loud. Doug eventually said if he lost the championship, he would retire, which happened on the biggest stage of the year — Wembley Stadium. Jordan Devlin had been on a hugely hot streak in Ireland. Gaining the title of “The Import Killer”, OTT’s biggest babyface didn’t do one thing — lose. WALTER: Austria’s superstar who had been terrorising Europe with his chops, was finally in Ireland. A intergeneration Indie dream team of WALTER & Low-Ki was put together for a tag match with Jordan Devlin and his best friend: David Starr. This then saw the beginning of a great story with even better video packages, a story that we’re half way through — At the time of writing WALTER is OTT Champion, after running through Devlin as well as an indie dream team. Whoever topples WALTER in OTT is a made man. I put this above #5, maybe in a bit of hindsight — it’s been a fascinating storyline. And Jordan Devlin has been my second favourite this year. Tyler Bate, also, found his way into the Wembley main event on a road-less-travelled, a strong favourite going into the final day of Super Strong Style 16, Bate had to withdraw due to an injury, with Zack Sabre Jr. winning the whole tournament. ZSJ had to — along with Will Ospreay — withdraw from Wembley due to New Japan commitments meaning that the biggest card in English wrestling history was hamstrung, and with Pete Dunne busy with the debuting Ilja Dragunov, the biggest match in European wrestling that could have a result, was Bate vs WALTER. Chris Brookes — the Tipton native that is so far fiercely independent — probably is the most creative force in British Wrestling right now. Whether it’s his string of merch, the Tuesday Night Graps which have his fingerprints all over it, or the fact that he’s single handedly made Lush a viable option for men, Chris is primarily a creative man but with the ability to put on matches. 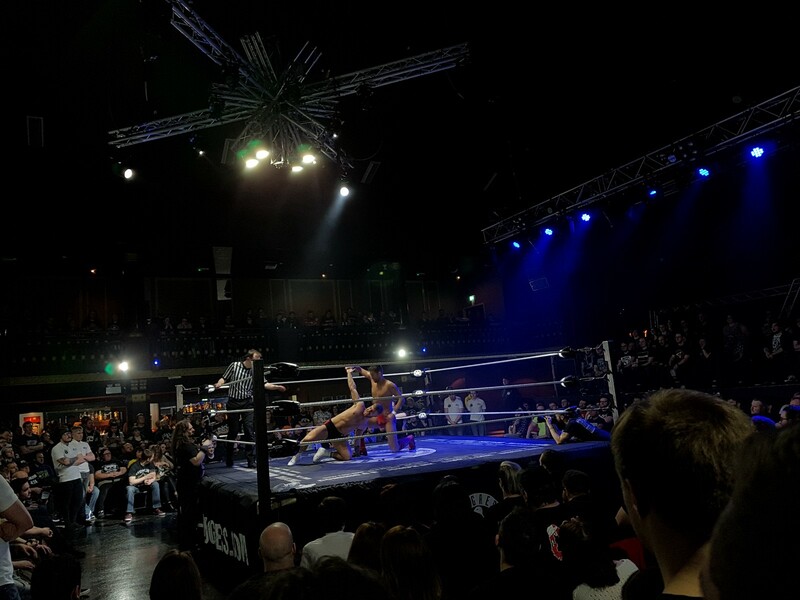 Many people around the world discussed the creativity of CCK vs LAX in PROGRESS’ United States tour, so we were in for a treat when Santana & Ortiz made the hop to the UK for the double header. This match also had a prize — #1 contendership for Aussie Open’s titles the next day. What followed was 25–30 minutes of some of the most creative tag team action I’ve ever seen. I always like seeing things that as a jaded wrestling fan I’ve never seen before, and this match had it in spades. I really cannot tell you how it went, except Santana & Ortiz picked up the win, but I’d strongly recommend you to find it to watch. So if this had been a top 10 list the remaining 5 would probably have “Zack Sabre Jr. vs. “ as a start. Along with Devlin, nobody has had a body of work like Zack Sabre Jr. in 2018 in my opinion. Having 4 or 5 star matches all over the world, ZSJ was for a long time the top match on my list, his belter on Chapter 63: Take Me Underground with Tyler Bate. That match doesn’t even make the top 5 now. Originally published at Rhys Wynne.